Turin, Italy (AP) – At the age of 34 and with five world titles, Formula One champion Lewis Hamilton is still showing no sign of waning motivation. His competitive spirit was clear to see at an event for Mercedes’ sponsors in Turin last Friday. Taking part in a ‘pit-stop challenge’ with teammate Valtteri Bottas, where the pair had to help change a tire on an F1 car several times, Hamilton was eager to beat the Finnish driver on every occasion, despite it counting for little. “I’ve just come off my break. I missed work. I’m a workaholic,” Hamilton said at Petronas’ $60 million research and technology center. “I love being at work, I like working with people. I feel that as soon as I get back to work I’m living my purpose. 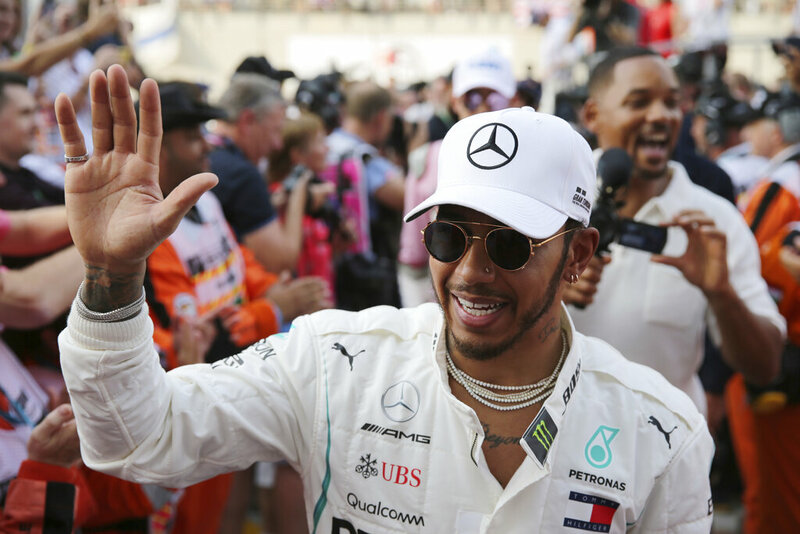 Hamilton has won the title in four of the past five seasons and secured it by his biggest margin of 88 points last season after Sebastian Vettel’s poor second half of the campaign. The first week of testing ended Thursday with Ferrari looking to be a step ahead of Mercedes. Vettel and Charles Leclerc – who replaced Kimi Raikkonen – were among the fastest drivers in the first week of testing in Spain, with Hamilton and Bottas unable to keep pace. “I have no idea at the moment,” Hamilton said when asked who would be his main rival. “I’ve not been looking at what they’ve been doing but I have to assume that they’re all currently contenders, there’s not just one of them and I’ll find out when we get to the first couple of races. Verstappen and Leclerc – who is the same age – are tipped to follow Hamilton and Vettel as F1’s next stars. But while Hamilton admits certain aspects of racing are harder with age (tell me about it! ), he also believes nothing replaces experience. “Each year, getting in shape, getting your mind into gear is still a massive challenge if not harder each year as you get older so once you get over that wall its pretty good after that,” he said. The season-opening Australian Grand Prix is on March 17, where Hamilton will start his bid to become only the second driver to win more than five world championships – behind only seven-time winner Michael Schumacher. Next articleWill we really go all-electric?